Syria: Whose war is better? What Does the Head of UN Peacekeeping Read? This is a dataset of historic famines and episodes of mass intentional starvation. It is a working dataset, to be updated as more and better sources become available. It includes two kinds of overlapping events, which have hitherto largely been studied separately. One set of events is great and catastrophic famines. A famine is defined as a food crisis that causes elevated mortality over a specific period of time. Using the criteria developed by Stephen Devereux (Devereux 2000) for ‘great famines’ (100,000 or more excess deaths) and ‘catastrophic famines’ (one million or more excess deaths), it includes any famine for which the upper estimate of excess deaths falls above 100,000. Using the four-point scale for ‘famine crimes’ developed by David Marcus (Marcus 2003), it also includes episodes of mass intentional starvation. For these events, the threshold is 10,000 deaths by starvation for inclusion in the listing. However, only events of mass intentional starvation that caused over 100,000 deaths are included in the quantitative dataset, on which the graphs are based. There are major methodological issues with the estimation of excess mortality. Generally speaking, better demographic calculations lead to lower estimations of excess deaths than those provided by journalists and other contemporary observers. We might therefore reasonably expect an upward bias in the figures for earlier famines on the record. On the other hand, contemporary definitions of famine (e.g. Howe and Devereux 2004) provide thresholds for nutrition and mortality that correspond with normal or near-normal conditions in many historic societies (see Ó Gráda 2015, pp. 174-5). 1947 USSR (Moldova and other areas) Food shortage and policy 600,000-1.5m Ganson, 2009; Ó Gráda 2015, pp. 12-13. Alamgir, Mohiuddin, 1980. Famine in South Asia: Political Economy of Mass Starvation. Cambridge: Oelgeschlager, Gunn & Hain. Ashton, Basil, Kenneth Hill, Alan Piazza, and Robin Zeitz, 1984. ‘Famine in China, 1958-61,’ Population and Development Review, 10.4, 613-45. Baldinetti, Anna, 2014. The Origins of the Libyan Nation: Colonial Legacy, Exile and the Emergence of a New Nation-State. New York: Routledge. Burr, Millard. 1998. Quantifying Genocide in Southern Sudan and the Nuba Mountains. Washington, DC: Committee of Refugees. Carver, Michael, 2000. The National Army Museum Book of the Boer War. London: Pan Macmillan. Checchi, Francesco, and W. Courtland Robinson, 2013. ‘Mortality and Populations of Southern and Central Somalia Affected by Severe Food Insecurity and Famine during 2010-12,’ Washington DC: FewsNet. Conquest, Robert, 1987. The Harvest of Sorrow: Soviet Collectivization and the Terror Famine, Oxford, Oxford University Press. Cunniff, Roger, 1970. “The Great Drought: Northeast Brazil, 1887-1880,” PhD dissertation, University of Texas, Austin. Davis, Mike, 2002. Late Victorian Holocausts: El Niño Famines and the Making of the Third World, London, Verso. Devereux, Stephen, 2000. “Famine in the Twentieth Century,” University of Sussex, IDS Working Paper 105. De Waal, Alex. 1989. Famine that Kills: Darfur, Sudan, 1984-1985. Oxford: Clarendon Press. De Waal, Alex, 1997. Famine Crimes: Politics and the Disaster Relief Industry in Africa. London: James Currey. Dyson, Tim. 1989, India’s Historical Demography: Studies in Famine, Disease and Society. London: SOAS. Dyson, Tim, 1991. ‘On the Demography of South Asian Famines, Part 2,’ Population Studies, 45, pp. 279-97. Dyson, Tim and Arup Maharatna, 1991. “Excess mortality during the Bengal famine: A re-evaluation,” Indian Economic & Social History Review, 28: 281-297. Fawaz, Leila, 2015. A Land of Aching Hearts: The Middle East in the Great War. Cambridge MA, Harvard University Press. Ganson, Nicholas, 2009. The Soviet Famine of 1946-47 in Global and Historical Perspective. London: Palgrave Macmillan. Government Accountability Office, 2006. Darfur Crisis: Death Estimates Demonstrate Severity of Crisis, but Their Accuracy and Credibility Could Be Enhanced, U.S. GAO, Report GAO-07-24. Washington DC. Gilbert, Martin, 1994. The First World War: A Complete History. New York: Henry Holt. Goodkind, D., L. West, and P. Johnson, 2011. “A Reassessment of Mortality in North Korea, 1993-2008.” Paper presented at the annual meeting of the Population Association of America, Washington, DC. http://paa2011.princeton.edu/papers/111030. Hansch, S., S. Lillibridge, G. Egeland, C. Teller and M. Toole, 1994. ‘Lives Lost, Lives Saved: Excess mortality and the impact of health intervention in the Somali Emergency.’ Washington DC: Refugee Policy Group. Hochschild, Adam, 1998. King Leopold’s Ghost: A Story of Greed, Terror and Heroism in Colonial Africa. NY: Mariner. Howe, Paul and Steven Devereux, 2004. ‘Famine Intensity and Magnitude Scales: A proposal for an instrumental definition of famine,” Disasters 28.1, pp. 353-72. Iliffe, John, 1979. A Modern History of Tanganyika. Cambridge: Cambridge University Press. Kiernan, B. 2008. The Pol Pot Regime: Race, Power, and Genocide in Cambodia Under the Khmer Rouge, 1975–79, Third Edition. New Haven, CT: Yale University Press. Lowe, Keith, 2013. Savage Continent: Europe in the Aftermath of World War II. London: Picador. Marcus, D. 2003. “Famine Crimes in International Law.” The American Journal of International Law 97 (2): 245–281. Maxwell, Daniel and Nisar Majid, 2015. Famine in Somalia: Competing Imperatives, Collective Failures, 2011-12. London: Hurst. Mazower, Mark, 1993. Inside Hitler’s Greece: The Experience of Occupation, 1941-44. Yale University Press, New Haven. Medley, Michael, 2010. “Humanitarian Parsimony in Sudan: The Bahr al Ghazal Famine of 1998,” University of Bristol, Unpublished PhD Thesis. Morgenthau, Henry, 1918. Ambassador Morgenthau’s Story. New York: Doubleday. Moskoff, William, 1990. The Bread of Affliction: The food supply in the USSR during World War II, Cambridge, Cambridge University Press. Ó Gráda, Cormac, 2015. Eating People is Wrong and Other Essays on Famine, Its Past, Present and Future, Princeton: Princeton University Press. Olusoga, David, and Casper Erichsen, 2011. The Kaiser’s Holocaust: Germany’s forgotten genocide and the colonial roots of Nazism. London: Faber and Faber. Paice, Edward, 2007. Tip and Run: The Untold Tragedy of the Great War in Africa. London: Phoenix. Peng, Xizhe, 1987, ‘Demographic Consequences of the Great Leap Forward in China’s Provinces,’ Population and Development Review, 13.4, 639-70. Pankhurst, Richard, 1968. Economic History of Ethiopia. Addis Ababa: Haile Selassie I University Press. Robbins, Richard Gardiner, 1970. “The Russian Famine of 1891-1892 and the Relief Policy of the Imperial Government,” PhD dissertation, Columbia University. Schilcher, Linda Schatkowski, 1992. “The Famine of 1915-1918 in Greater Syria,” in John Spagnolo, ed., Problems of the Modern Middle East in Historical Perspective. Reading, UK: Ithaca Press. Schove, D. J. 1977. “African Droughts and the Spectrum of Time,” in D. Dalby, R. J. Harrison-Church and F. Bezzaz (eds. ), Drought in Africa 2, London, International African Institute, African Environment Special Report No. 6. Smith, Lynn, 1946. Brazil: People and Institutions. Baton Rouge, Louisiana: Louisiana University Press. Snyder, Timothy, 2012. Bloodlands: Europe Between Hitler and Stalin, New York: Basic Books. Spoorenberg, Thomas and Daniel Schwekendiek, 2012. “Demographic Changes in North Korea: 1993-2008,” Population and Development Review, 38.1, 133-158. Suny, Ronald Grigar, 1998. “Empire and Nation: Armenians, Turks, and the End of the Ottoman Empire.” Armenian Forum 1.2. 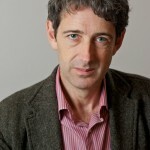 Van der Eng, Pierre, 2008. Food Supply in Java during War and Decolonisation, 1940-1950. Munich Personal RePEc Archive paper no. 8852, http://mpra.ub.uni-muenchen.de/8852/. Van Klinken, Gerry, 2012. Death By Deprivation in East Timor 1975-1980. World Peace Foundation, https://sites.tufts.edu/reinventingpeace/2012/04/17/death-by-deprivation-in-east-timor-1975-1980/. Vincent, C. Paul, 1985. The Politics of Hunger: The Allied Blockade of Germany, 1915-1919. Athens, Ohio: Ohio University Press. Wolde Mariam, Mesfin, 1986. Rural Vulnerability to Famine in Ethiopia, 1958-77. London: IT Press. What excludes the Great Famine of Ireland from being considered here? Dear Thy, we began our dataset in 1870, which therefore excludes the Great Irish famine, and a host of other major famines in China, India and South Africa in the 1860s. The reason for the 1870 cut off date is that the data for world famines prior to then are very unreliable. But if we are able to extend the dataset back to early in the 19th century it will definitely be included. Any particular reason for excluding the Persian famine of 1917-1919 from being considered here? Thank you for your comment. This case is included in an updated version of the dataset, available here: https://sites.tufts.edu/wpf/famine/#Dataset Based on data from Amir Afkhami (2003), we cite an estimated 455,200 deaths from this famine.